The New York Giants have always been an organization of honor and respect, and one of their former players is carrying on that tradition off the field. Ron Dixon, also known as the only player in NFL history to run back two kick returns in the post-season, is at the fore-front of an organization out to help all former professional athletes. As head of the Football division (NFL, AFL, and USFL) of WSA (World Sports Alumni), Dixon is making ground-breaking progress in solving what’s a major problem in the sports industry: The lack of assistance for former professionals. “Ron is really a wonderful guy. We are fortunate to have a player of his stature represent us. He’s a great leader and also has great values which you can see as he always takes his family everywhere he goes. I speak for many NFL players when I say that we look forward to Ron leading our sports division in the WSA”, said Bruce Rothschild, former San Diego Charger, and current WSA member. He is also the President of Your Backyard Superstore which is a WSA Business Sponsor partner. The WSA helps athletes make the most out of their brand and provides them with resources to make a difference in society. 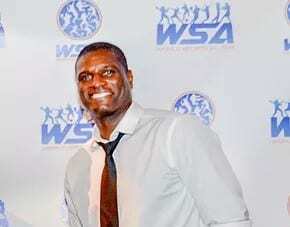 Dixon and the WSA host events (Super Bowl party’s, football camps, etc. ), to promote their cause, which has attracted hundreds of professional athletes and dedicated fans. With over one hundred athletes under their umbrella, they’re expecting to see a growth of 200% in former players by the end of 2018 (over 300). Attending one of their events isn’t simply a meet and greet, you receive the opportunity to spend a night out with the former pros; enjoying their company and seeing what it’s like to spend a night in their shoes. One of WSA’s key representatives is Brandon Meriweather, former safety for the New York Giants. As they begin to spread across the country and expand what’s a massive development for former players, we will have the opportunity to enjoy their company and events as dedicated fans. Showing them our support is essential, as former athletes often fall into the pits of bankruptcy and legal troubles due to a lack of education or financial guidance. Providing our support will only help us in the long run develop relationships with these great players, and influence society in a great way. Additionally, CEO/founder of WSA and former No. 1 Billiards player in the world, Charlie Williams, is displaying incredible passion and determination in creating what’s going to be one of the world’s most influential sports alumni organizations.